It's raining outside, seems like a good time for another road trip. 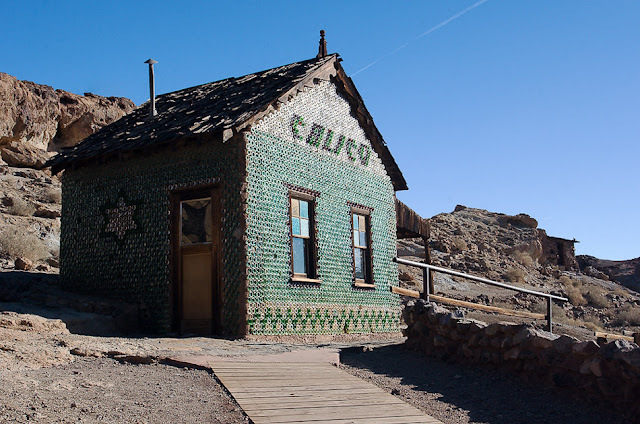 This time, we're heading out into the Mojave desert to Calico Ghost Town, located in Yermo, California. 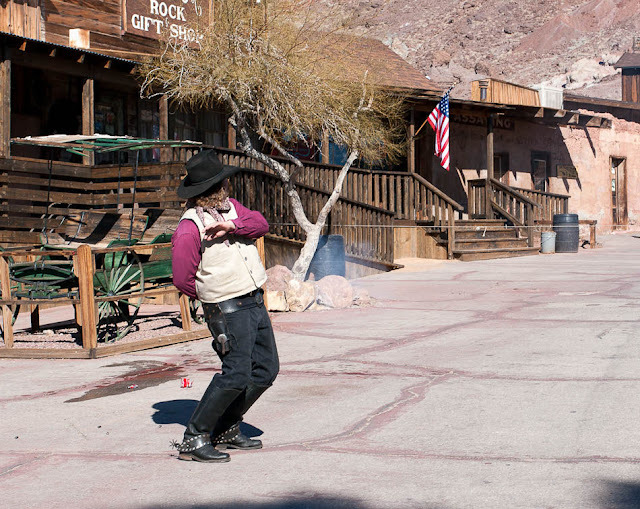 Most people are probably more familiar with the Calico Ghost Town at Knott's Berry Farm. There's a definite connection between them. I love going to places like this. It's out in the middle of nowhere, the air is clear and you can find and learn some history mixed in among the touristy stuff. A relaxing, low-key getaway. Also a fun place to take photos. Calico got its start in 1881 as a silver mining town. After the price of silver dropped, the town turned into a ghost town by 1904. 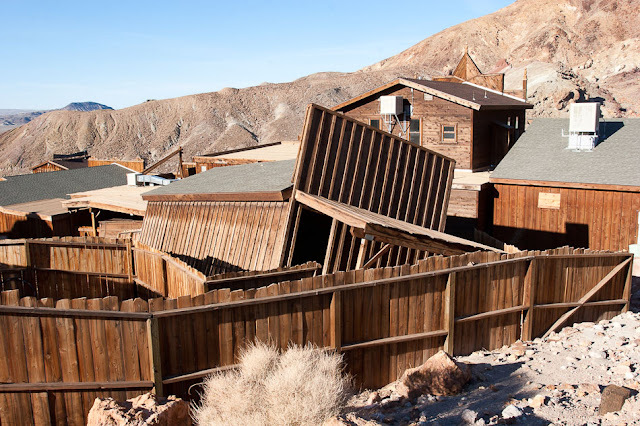 In 1951, Walter Knott, founder of Knott's Berry Farm, bought the town and restored it. 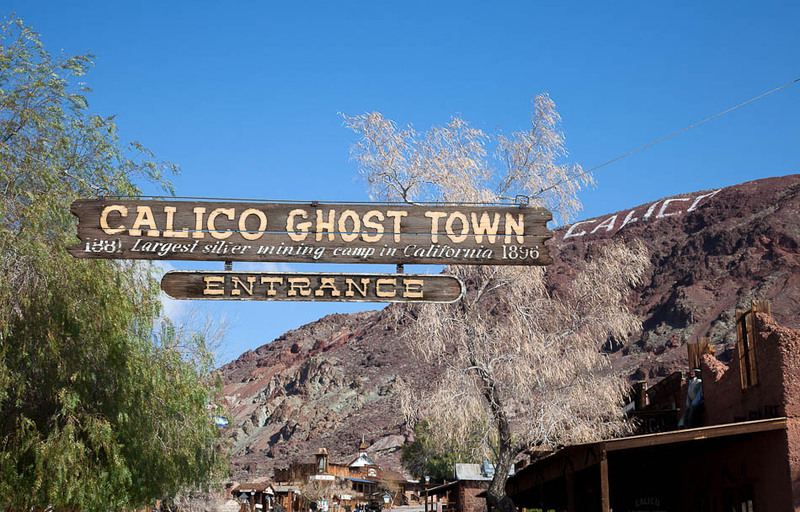 Calico Ghost Town will seem very familiar if you've been to the Knott's version. In 1966, Walter Knott gave the town to San Bernardino County, California. Both towns have their Bottle House. For you old time Knott's fans that miss the long gone Haunted Shack, this Calico still has one called the Mystery Shack. Above is a partial overview of Calico. The town extends farther to the right out of the photo. Calico is slightly more than one street with original, restored and recreated buildings housing stores, gift shops, restaurants and museums. 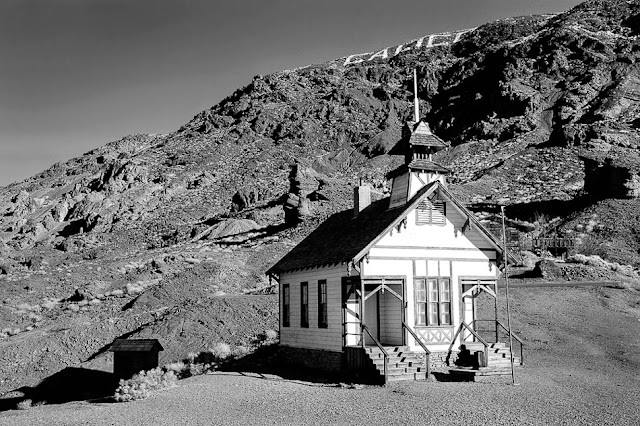 At the end of the street, you'll find the old Calico Schoolhouse. You can't go inside but you can look through the windows. The day I was there, the sheriff put on a quick draw and shooting exhibition. 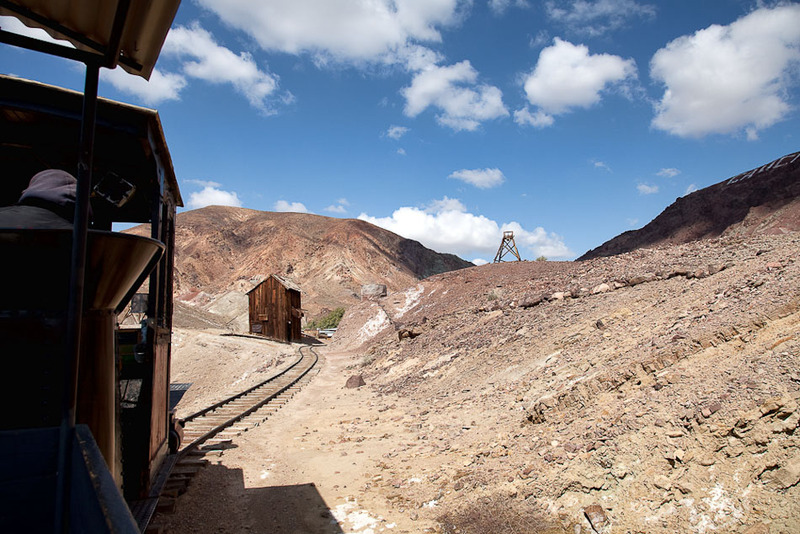 For an additional fee, you can take a ride on the Calico and Odessa Railroad (above) for a very scenic tour of some historic areas just outside the main town, take a tour of the Maggie Mine or go through the Mystery Shack mentioned above. -Camping near the entrance to town - if you want to stay longer than than a one day road trip. -Various events - The Ghost Haunt is taking place this month, Heritage Fest at the end of November, Christmas in Calico in December. See their website for all the info. *I have since re-visited Calico Ghost Town and a new set of photos can be found here in a post dated February 10, 2013. Oh, I love this. 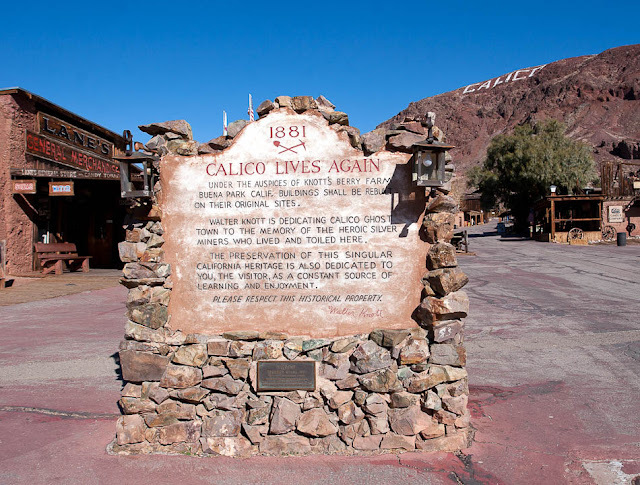 I've never been to Calico. So it's a combination of the original interspersed with faux structures? Can you go inside the bottle house? Pas Adj: It's a great place. There are some original buildings, the rest of the town was restored and recreated as faithfully as possible. I've been there a few times and I could not pick out the originals just by looking. Part of the town burned down in 2001 and was rebuilt. None of the original structures were involved in that fire. The bottle house here has no gift shop inside. It's kept locked up tight.